Herb Quady and Brian Gruber have worked together in both the vineyard and the winery for many years.This year they formed a new partnership: a custom crush business by the name of Barrel 42. 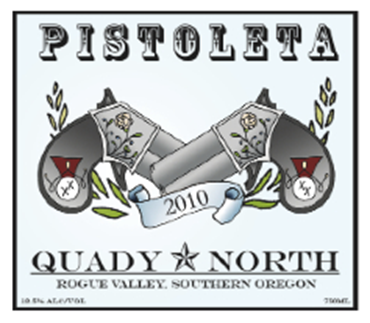 Herb Quady never guessed that he would be a winemaker like his father, Andrew Quady of the famous dessert wine Quady Winery in Madera, Central Valley, California. And yet, a political science degree later, Herb decided that “there is more truth in wine-making than politics”. He returned to Fresno State to study viticulture and oenology. Herb took a position as Assistant Winemaker at Quady for a time, then went on to become associate winemaker, working alongside Randall Grahm at Bonny Doon. In the summer of 2004, Herb and his family relocated to Southern Oregon, when he accepted the role of Head Winemaker at Troon Vineyard in the Applegate Valley. 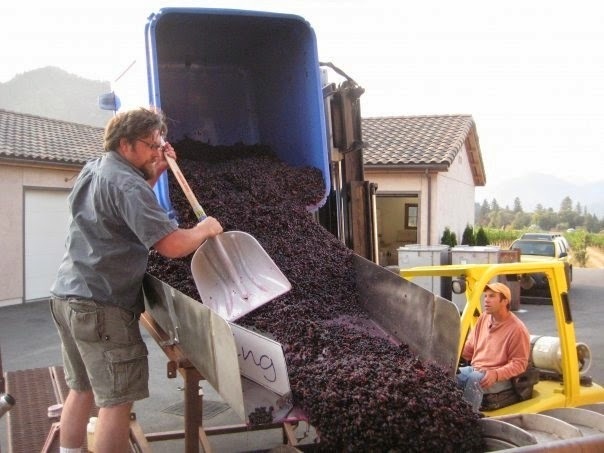 Brian Gruber specialized in logistics and accounting in Virginia, as well as tending wine grapes, before moving west to Southern Oregon to make wine at Troon Vineyard. Working together with Herb, Brian learned the fine art and science of wine-making and helped with the vineyard management business. Applegate Vineyard Management has raised the bar for the quality of fruit in Southern Oregon, giving the opportunity for local growers to receive the best yields and prices for their grapes. While working at Troon Vineyard, Herb created his own label, Quady North (QN), specializing in Cabernet Franc and Rhone varietals, which he offers at his tasting room in Jacksonville. Barrel 42 evolved from Herb’s need for a crush facility for his 3400 cases of QN wines. An additional 6500 cases have been contracted with small vineyards throughout the valley. Herb and Brian continue to offer vineyard management services. The overall quality of the product is greatly increased when the men can take care of the vines and wines, all the way to the glass. “I think there is a need for custom crush facilities run by experienced wine professionals that understand all aspects of the business. Barrel 42 calls SOS (Southern Oregon Select) its home. The site is a historic fruit packing and storage facility, located in Medford, the heart of the Southern Oregon wine and pear country, it already offers wine storage and a wine shop dubbed Old 99 Road Wine Shop and Specialty Foods. The owners’ concept is to create a Pike Place Market style experience for their local customers and tourists to the region. The formation of Barrel 42 marks progress and growth for the local wine industry. As the second custom crush facility in Southern Oregon, the competition will be friendly. With new vineyards adorning the surrounding landscape, there is no shortage of fruit.